The last five days have provided a rich lesson on leadership. As I look at that list I notice something about true leadership. Most of these are heart characteristics. They point to what kind of man George Bush was on the inside. Yes, people also mentioned some of his external qualities: his good looks, heritage, education, military background, political experience, and more, but those internal qualities defined him. When you interview new church leaders or recruit volunteer leaders, what do you look for: exterior qualities such as knowledge, skills, talents, positive attitude, strategic thinking, and such . . . or internal, heart qualities such as integrity, character, humility, goodness, and love? What kind of leader does God look for? That’s an easy one. He said about Eliab, “Do not consider his appearance or his height, for I have rejected him. The Lord does not look at the things people look at. People look at the outward appearance, but the Lord looks at the heart” (1 Samuel 16:7). Of course, God chose David as his leader, because David was “a man after his own heart” (13:14). I wrote Leading from the Heart based on the leadership of King David, and the son of David, Jesus. I wrote it not as a “how-to” book; that is, I didn’t write it about what leadership skills to develop. 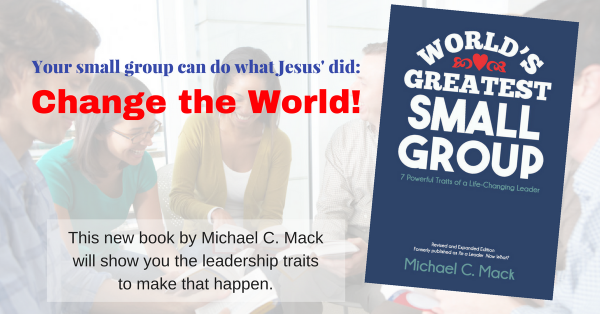 Instead, I wrote it to help readers develop the internal qualities godly, fruit-bearing leaders must have. God uses ordinary, unschooled leaders, and he wants to multiply them over and over to reach the world. President George H.W. Bush understood this as well. His “thousand points of light” was about ordinary people making a difference in others’ lives and therefore the country. As the church, we are all ambassadors of Christ, a priesthood of all believers, the body of Christ in which every part does its work. I hope something similar will be said someday of me: An imperfect, ordinary man, he loved a perfect God who did extraordinary things through him.